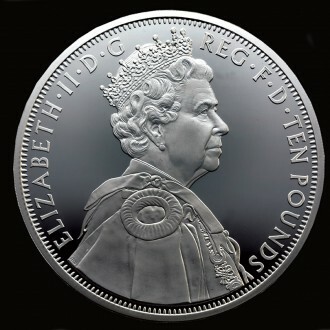 The coin has a diameter of 100 mm with a deeper relief than any other UK coin struck for the Diamond Jubilee, creating an impressive and precious coin in honour of this rarest of Jubilees. The Kilo coin is UK legal tender. 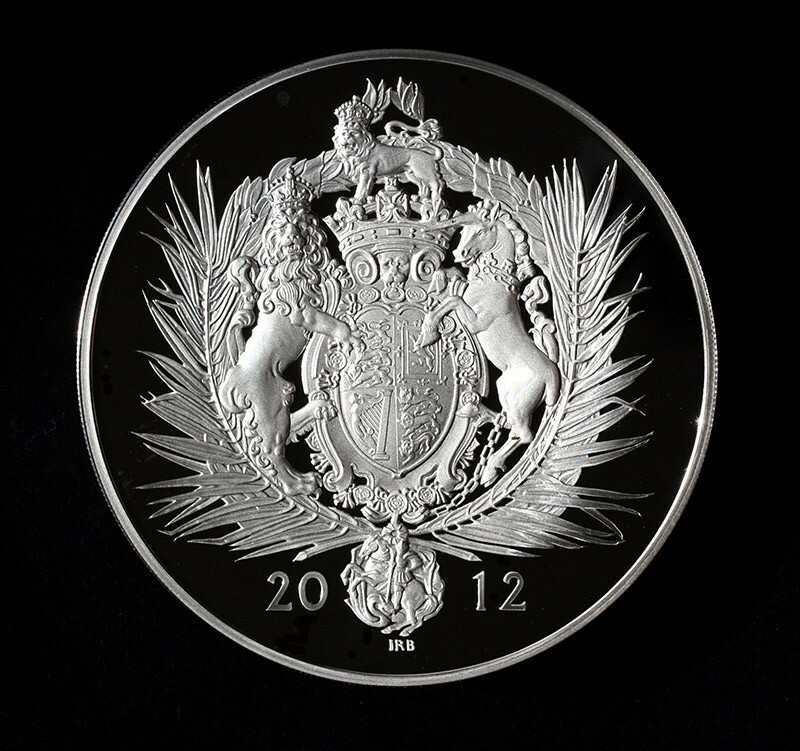 Designed by Ian Rank-Broadley, the coin’s reverse depicts the Royal Coat of Arms which graces the gates of Buckingham Palace, The Queen’s official London home. Britain has witnessed a Diamond Jubilee just once before, when Queen Victoria, The Queen’s great-great grandmother, celebrated 60 years on the throne in 1897. The Royal Coat of Arms is a powerful symbolic link between Queen Victoria and Queen Elizabeth II as it has remained the same for both of the monarch’s reigns. 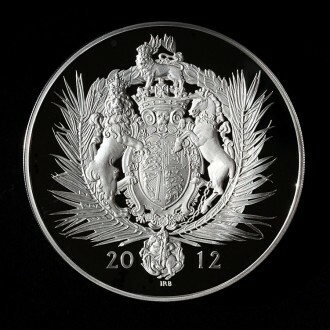 The obverse of the Kilo coin features the Diamond Jubilee portrait of Her Majesty The Queen by Ian Rank-Broadley – created especially for and exclusive to all UK 2012 Diamond Jubilee coins struck by The Royal Mint. Size: 100 mm / 4"